Damage losses and claims increase your transportation costs and can also damage your relationship with shipping partners. To reduce freight damage, monitor claims closely and take proactive steps to continuously drive down damage incidents. The wrong carton type will undermine all your efforts to reduce damage. Some corrugate simply won't hold up if pallets are stacked. Here's a costly example. The purchasing manager for a CPG company changed packaging vendors to save money. However, the new boxes were designed to stack only one pallet high and were often being shipped double stacked. Thousands of dollars in product damages were incurred before the root cause was identified. Product packaging is the smallest cost segment in the supply chain, comprising less than 10% of each supply chain dollar. Warehousing eats up about 25% and transportation 60%. It doesn't make economic sense to scrimp on packaging materials since you'll pay for it in other areas. Check your pallets frequently and pull damaged ones out of circulation. Make sure you choose a pallet type that can handle the weight of your freight. In the CPG supply chain, the standard wooden pallets developed by the Grocery Manufacturers Association is recommended. Plastic pallets also do an excellent job, although the top deck may be slippery. Proper pallets are absolutely essential if you want to reduce freight damage. The goods must be stacked in a uniform and stable manner, whether it's done by hand or using an automated stretchwrapper. For instance, if box contents are solid and rigid, stack them like bricks with the weight of each box being partially supported by more than one box below. Avoid product that hangs out over the edge of the pallet. When this happens, it reduces box strength up to 32%. Poor stacking can really increase your freight damage, so bone up on stacking techniques if you are unsure of proper approaches. An LTL shipment moving from the Eastern U.S. to the West passes through as many as six trucking terminals. That's the LTL model. Every time you handle something, it increases the freight damage percentage, so it's worth exploring opportunities for freight consolidation with other small-volume shipments moving to the same region or distribution center. 3PLs are in an excellent position to advise you here since they have visibility to freight across many, many shippers. Freight loading must be well planned, with procedures clearly documented and followed to prevent freight damage. That will avoid simple mistakes like double stacking cartons or pallets that should not be stacked. It's also key to distribute the load evenly in the trailer, with lighter cargo loaded on top of heavier cargo. Dry goods should be loaded on top of liquid goods because, if liquids leak, they will leak onto the trailer deck and not onto the dry goods. 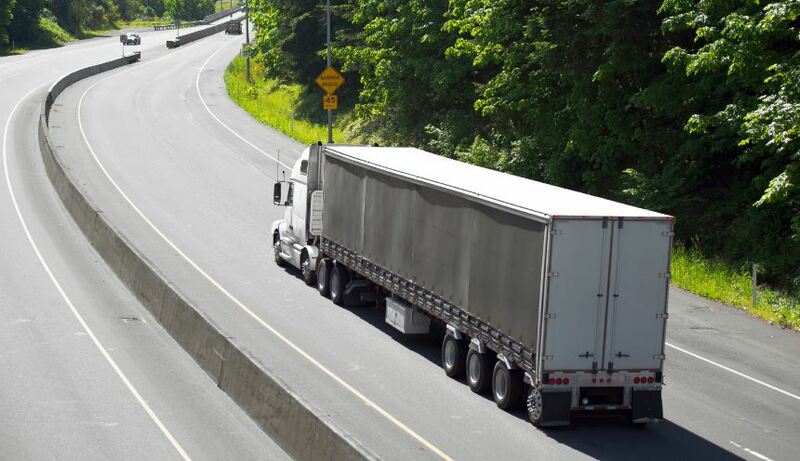 These are just a few ideas to reduce freight damage. The key, of course, is to put an action plan in place and execute, relying on a sound set of metrics to determine progress.